Posted on Wednesday, August 15th, 2018 at 5:24 pm. If you’ve visited a We Olive & Wine Bar, you may know that we offer a carefully curated menu of plates, both large and small, that are designed to pair perfectly with wine and be shared among your table. Each item on our menu features some of our favorite We Olive olive oils, balsamic vinegars, dips and spreads. 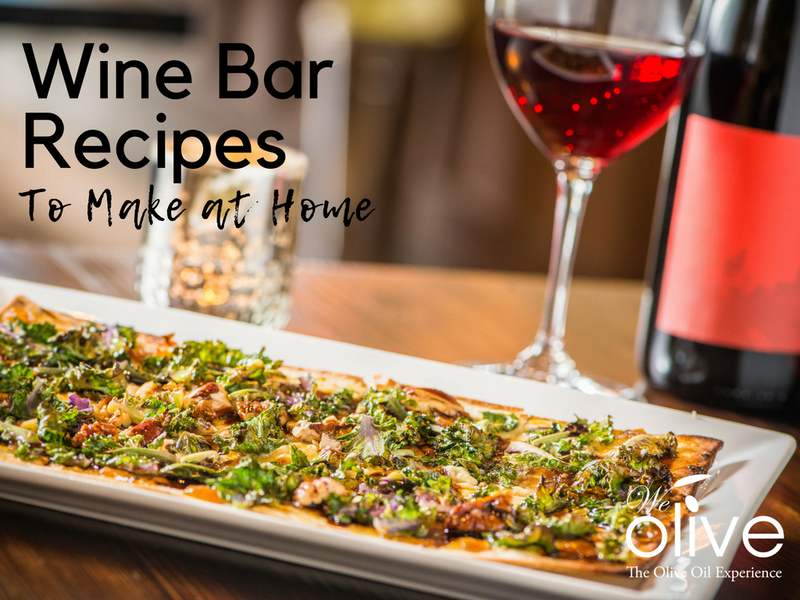 We’ve put together a list of our bestsellers and new favorites for you to recreate our wine bar recipes at home. 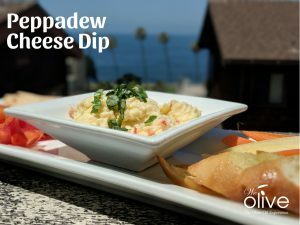 Our peppadew cheese dip is a riff on classic pimiento cheese dip and uses peppadew peppers in place of pimientos. It’s creamy and cheesy with a hint of smoke and jalapeno from two of our bestselling olive oils. It comes together in minutes and will be a hit at your next party. This wine bar menu favorite is the perfect party appetizer. 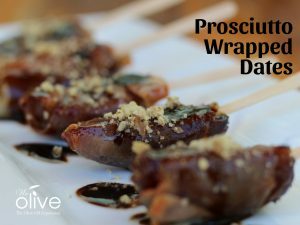 Stuffed with goat cheese and walnuts and drizzled with Blood Orange Balsamic Vinegar and Meyer Lemon Olive Oil, these sweet and salty dates pair beautifully with wine! While we do love a good hummus made from carefully cooked chickpeas blended to the perfect consistency, we don’t always have time to make hummus from scratch. 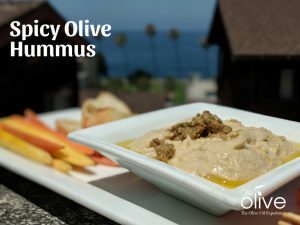 Try this recipe to transform plain old store-bought hummus into a flavorful and delicious dip. 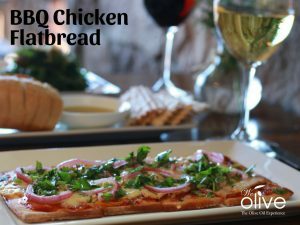 This BBQ chicken flatbread is loaded with bold flavors and gets a delicious kick from the pickled onions. This makes an easy entree for dinner at home or an excellent appetizer.